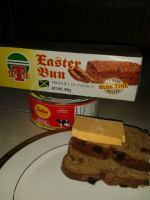 Jamaica religions, or more correct; the religions in Jamaica, are many and varied. This remains so although majority of our people are aligned to Christianity. This includes approximately two-fifths who are Protestants and one-tenth of the Roman Catholic faith. It is projected that approximately one (1) in every ten (10) Jamaicans are Pentecostals. 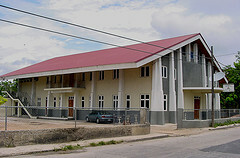 A smaller number are Seventh Day Adventists and Baptists. Although, I can tell you the Seventh Day Adventists are making serious headways in this regard. They are very visible these days and there is always something happening in their circle! It didn't hurt either for them to own one of the main universities in the island. 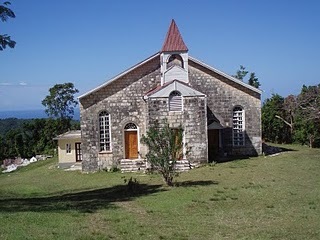 Only a small percentage of the total population attends the Anglican church, which, as the Church of England, was the island's only established church until 1870. Smaller Protestant denominations includes the Moravians, Disciples of Christ, Society of Friends (Quakers), and United Church of Christ. Jamaica also has a small Hindu population, a Muslim mosque, and a branch of the Ethiopian Orthodox church. 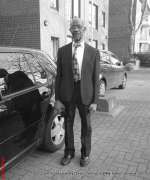 Some syncretic religious movements base their beliefs on Christianity and West African traditions. Revivalism, for example, is fusion of both. Like Revivalism, the central feature of the Pocomania sect here, for example, is spirit possession; the Cumina (Kumina) sect has rituals characterized by drumming, dancing, and spirit possession. The Rastafari movement began in Jamaica in the 1950's and has been an important religious and cultural movement since. Not all 'Rastas' are Jamaicans or associated with Jamaica- nor the religious belief! Another fact also is that Rastafarians represent only a small portion of the population. From my observation, there are still subtle differences within the Rastafari movement relative to their beliefs and customs, but generally, most Rastafaris believe in the Divinity of Emperor Haile Selassi I of Ethiopia and they revere Marijuana (Ganja), although it is still an illegal drug in Jamaica. Rastafarianism has become internationally known through its associations with reggae music and some of Jamaica's most successful musical stars. Burning Spear, Peter Tosh, and Bob Marley for example, were all Rastas. So now you see the diversity of the Jamaica Religions? Yes, most of us are of the Christian faith but we have many smaller, sub groups and denominations that still stands tall. And before you go, a bit of trivia! 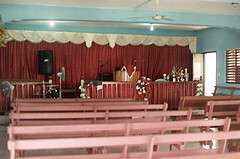 Did you know that Jamaica has more churches per square mile than anywhere else in the world! Well, so it is widely conceived. 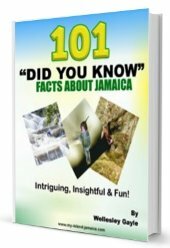 For other interesting facts on Jamaica, click here.